Life and Home has since expanded their selection of products with your convenience and ease in mind. From your garden to your kitchen and all else between, it’s here — everything for your life and home. 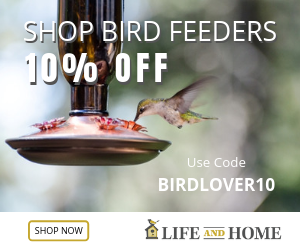 Coupon Code: BIRDLOVER10 - 10% Off on Over 330 Bird Feeders Plus Free Shipping Over 190!